Thanks to Sheikh Mohammed bin Rashid al Maktoum and his ambition to transform the emirate into a capital to pair with Singapore and Hong Kong, Dubai is today considered a rose blooming in a desert. Breaking world records Dubai excel in modern architecture and design. The tallest building of the world – Burj Khalifa bin Zahid is located in downtown Dubai and the only 7 stars hotel of the world – Burj Al Arab – is also located in the Capital on an artificial island in front of Jumeiraj beach. 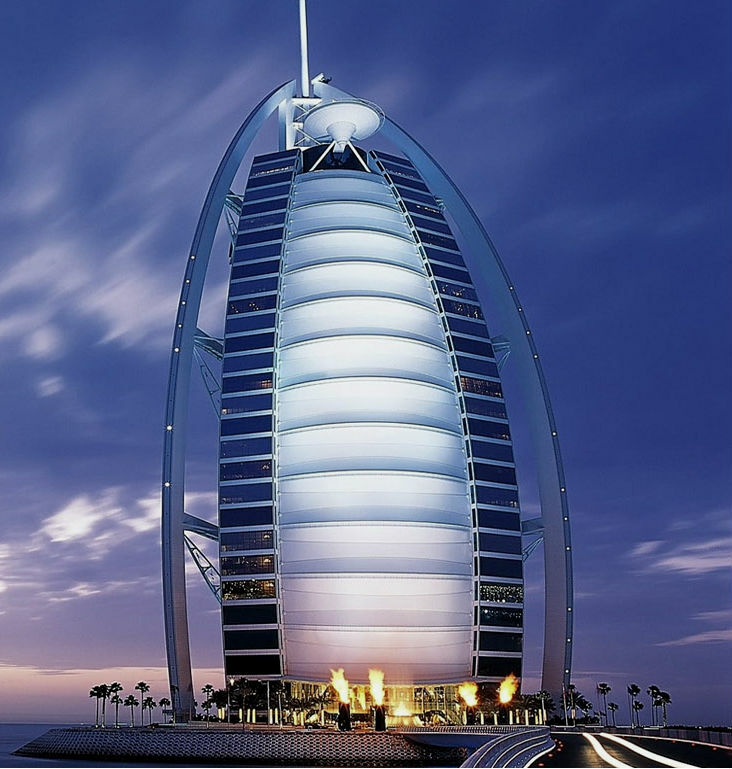 Burj Al Arab was design by British architect Tom Wright in 1993. Its construction was finished six years later and since then it became an iconic and symbolic statement for Dubai, just as the Statue of Liberty is for the US or the EiffelTower is for Paris. Its distinctive and exquisite shape is a symbol of modernity and an invitation to high quality standards of services and facilities. Dubai’s crown prince was impressed by the Tom’s sketch of Burj Al arab mega structure and the concept was to construct a yacht-inspired building and give the impression that it was rising from the sea. The central fountain is located in the main atrium of the hotel where every half hour a 100ft geyser shoots up. 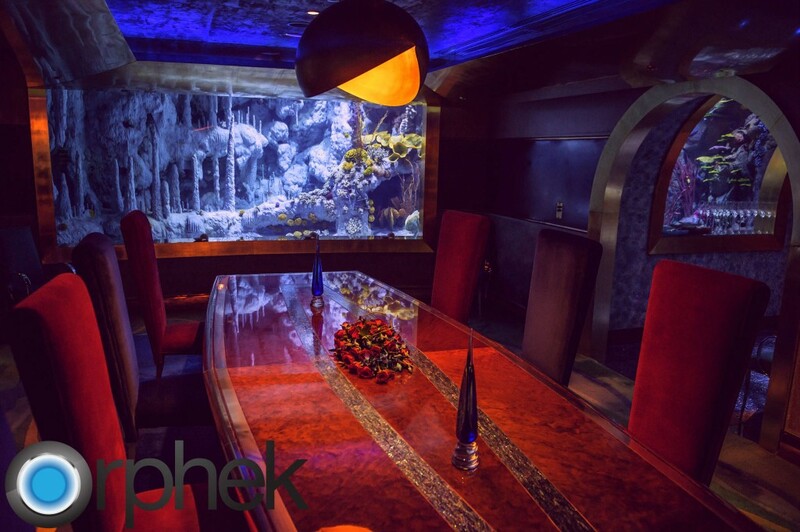 Located one floor below Al Mahaja or “The Oyster Shell” is a restaurant that offers not just dinning, but also the experience of a simulated submarine voyage. 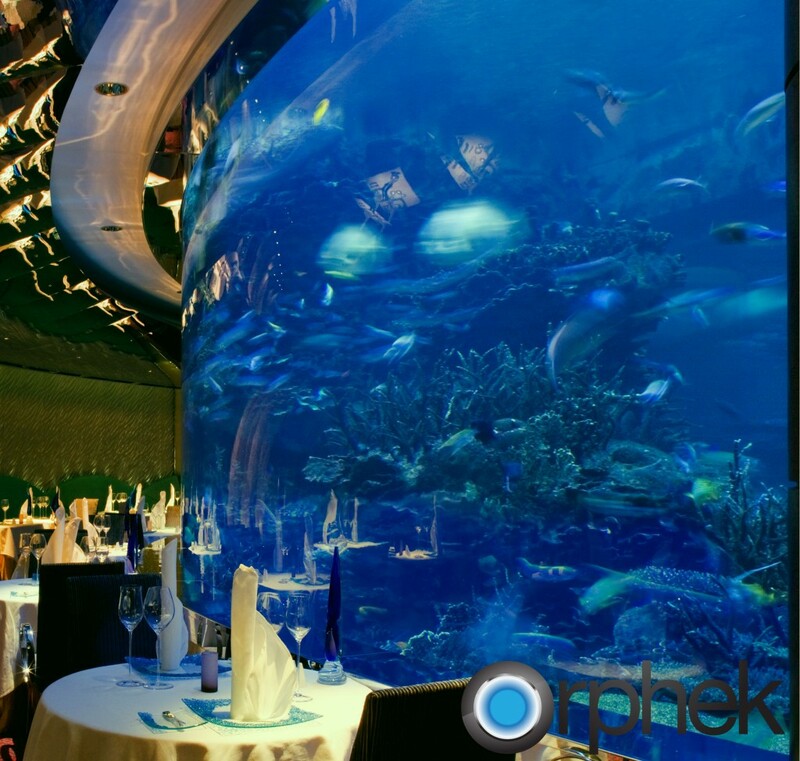 While tasting the best seafood Dubai has to offer, guests also have the opportunity to enjoy a stunning 300,000 liters salt-water floor to ceiling marine aquarium. 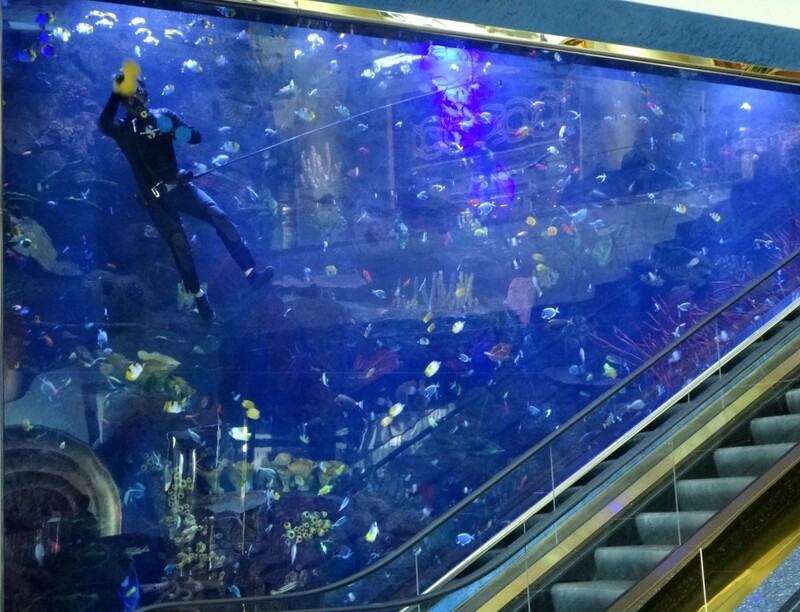 In the lobby guests and visitors have the opportunity to see two other marine tanks, each containing 250,000 liters of salt water. 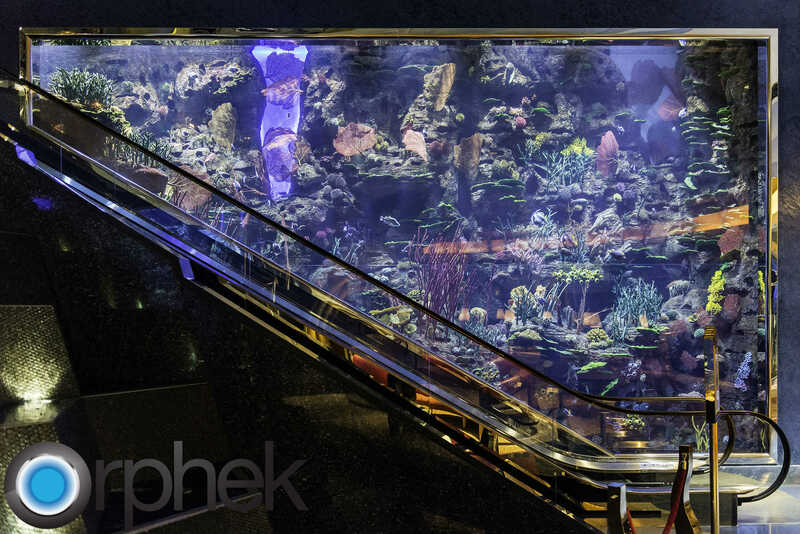 Orphek was chosen to be their sole supplier of LED lighting solutions for the hotel’s aquariums due to its long settled reputation in the Middle East and because the construction of this project demanded the most advanced technologies available in the market, due to its challenges and its ambitions to reflects on the quality of living with wealth. 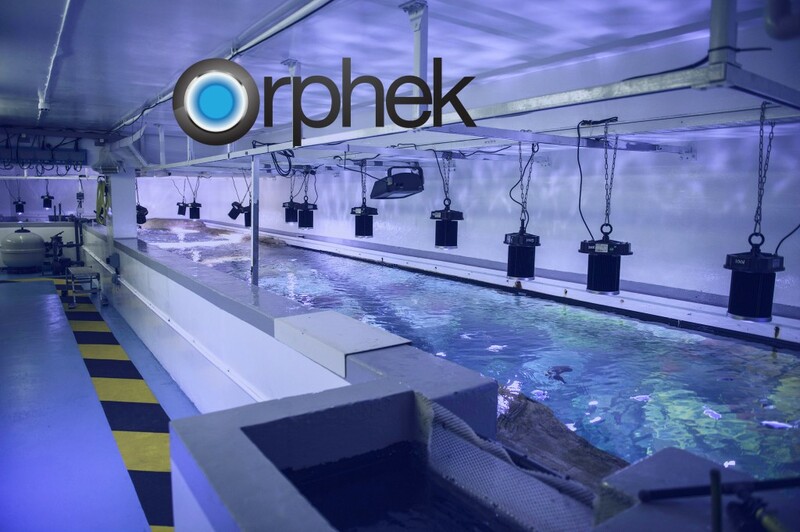 Orphek has also proven to be the only leading company in LED lighting for aquariums sharing the same passion for design that the developers of this project demanded, by developing products and solutions that not only answers to the needs of the living creatures of these aquariums, but also able to offer solutions where the integration of light sources, conceptual design and architectural elements were desired. The developers of these exquisite tanks recognized our long lasting commitment to excellence, efficiency, technological development and design.